Omigosh, I have found the cutest app for kids ever! This makes me want to run out and get a smartphone, and I may secretly download this to my dad's smartphone and iPad so the kids can play it when we are at their house. My two youngest would loooooooooooove this, and I have to say I kind of enjoy watching it, as well! 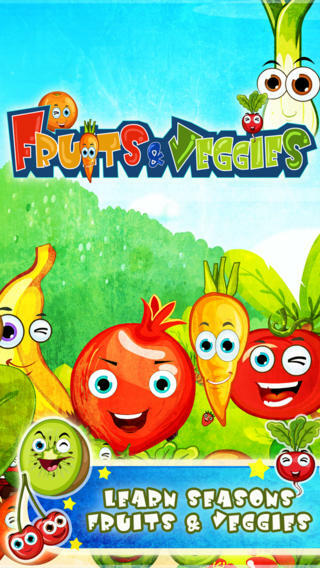 It's called Minti Kids Fruits and Veggies by Minti Games. Kids learn about fruits and veggies, match them up in puzzles, learn about which veggies/fruits go with which seasons, learn the names of the produce, and get stickers when they are right. It's perfect for toddlers and preschoolers, except I know for a fact my older kids would have fun with this, too! Here's a little video of it! The music I can't get out of my head because it is so stinking cute, and the characters are to die for, and some of them DANCE AROUND. Adorable. You gotta get this app! Let’s Make Little Ones Love Fruits & Vegetables! Parents know, it is hard to make kids love fruits and especially vegetables. In the decade of hamburger madness, the question is why kids shall interest in distasteful, crusty vegetables or fruits. Based on this reality, Minti Kids’ first game Minti Kids Fruits & Veggies aims to make kids love fruits and vegetables by introducing them with fun. 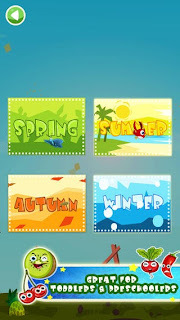 In this game, kids can choose between four seasons and solve 3 pieces of simple mix & match puzzle to discover which fruits & vegetables grow in which season. As kids solve these puzzles, they learn the name of fruits & vegetables as far as the way of their written. Suitable for ages 3 and up, joyful music, kid-friendly illustrations, English vocalization and lovely fruit and vegetable characters included in the game earn kids love for sure. Minti Kids Fruits & Veggies helps concentration and problem solving skills of kids improve while making them love fruits and vegetables. Also, kids earn free of charge stickers during the play that feeling of success do strengthen their self-esteem. This game is focused on developing kids’ knowledge, creativity and curiosity while making them have fun. Therefore, there is neither third-party advertising nor in-app purchases inside the game. 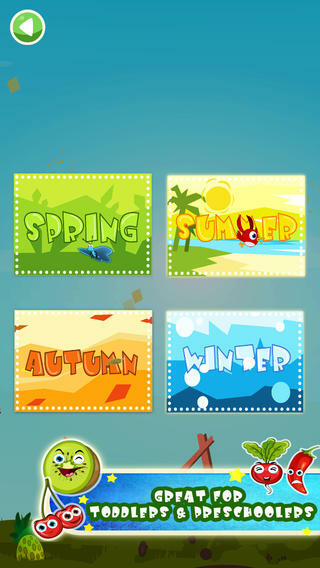 Minti Kids Fruits & Veggies can be downloaded from AppStore to be played on both Ipad and Iphone.